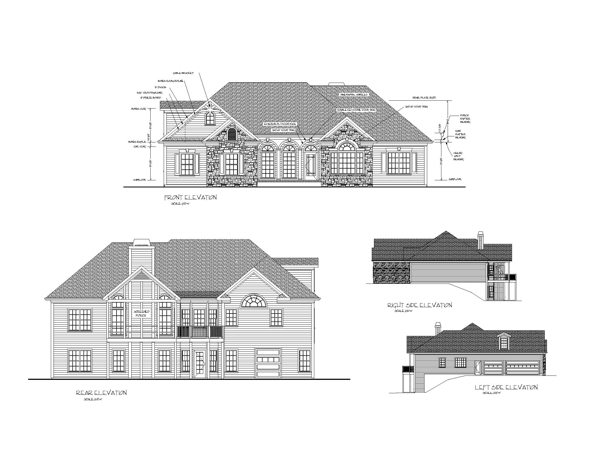 PLAN DESCRIPTION We've integrated our customer's most requested features into a mid-sized ranch in the creation of this attractive new design. 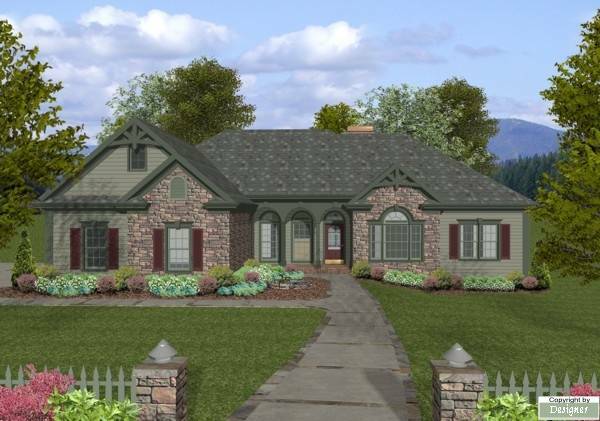 The Old World style siding and stone exterior is accented with a "Palladian" window, multi-level trim and an inviting front porch. A flexible office/living/4th bedroom, an exquisite master suite, a 3-car garage with a utility sink, and a large screened porch are sure to make this 2000 square foot home irresistible. The exceptional master suite, with direct access to the deck, a sitting area, full-featured bath, and spacious walk-in closets, create a true "Master's Retreat." A bay window brightens the casual dining room and kitchen. Vaulted or trayed ceilings adorn the living, family room, master suite and cozy coffee corner. Other rooms have 9' ceilings. 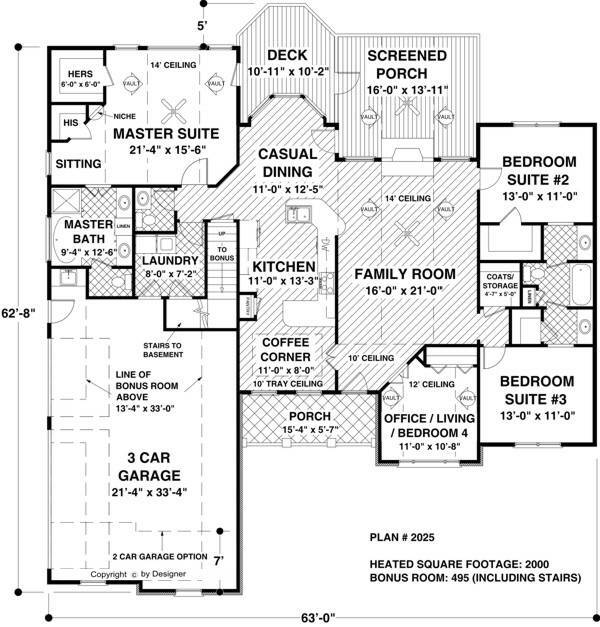 The upper level bonus room features 495 sq. ft. of functional living space with 5 ft. knee walls rising up to an 8 ft. ceiling. The secondary bedrooms, each measuring approx. 13' x 11', have walk-in closets and share a "Jack and Jill" bath. A breezy screened porch, measuring 16x138, features a vaulted ceiling with a ceiling fan.